BOOK MARKETING ON FACEBOOK: KUNAL MARATHE SHARES SOME TIPS! Indiacafe24.com > Hot News > BOOK MARKETING ON FACEBOOK: KUNAL MARATHE SHARES SOME TIPS! ‘Writers often ask me if Facebook can be used to promote their books effectively—or not! Well, the answer is a big YES—and a big NO!’ says Kunal Marathe, CEO of Legendary Book Marketing, a book publicist. Facebook, undoubtedly, has changed the way we communicate, socialize, work—and even live. It has become an inseparable part of our life. One of the top social networks worldwide, Facebook is now becoming a major source to promote a wide range of businesses, products and even people. This, however, has given rise to a new discussion in the field of publishing—Can Facebook be used for book promotion? Having 10,000+ Likes on your author or book Page is a waste if they are not potential readers. DO NOT rush to increase the number of Likes on your page with people who ‘do not read’. It is a big waste. This is the most important factor to understand. People do not care who you are—or what you write (unless you are Chetan Bhagat, of course). Simply posting the Amazon link to your book in various groups will not help. People want content. So give them the content. Quotes, attractive posters, chapters from your book—show them how attractive your work is, and they will search the book on Amazon! You are a writer—not a Photoshop expert. So hire a professional designer to make attractive images for your campaign. If it is not attractive, your promotion campaign has high chances of dying a brutal death. Same goes with the author pictures. Stop posting those unprofessional snaps, please. Facebook is a company. They have a business. And they got to make money. It’s not a rocket science! A Facebook Page would hardly give any result if you have few hundred or few thousand Likes on it AND YOU DO NOT SPEND MONEY ON BOOSTING THE POSTS! So either have a budget for Facebook Ads or stick to your profile. Facebook looks simple—it is not, at least when you want to use it to promote your book (or any product). There are so many things to be taken care of during a promotion campaign on Facebook: dimensions for different types of images, timing, hashtags, algorithm, targeting, and so on. Moreover, these factors are continuously being changed (upgraded, actually) by Facebook. As an author, you will also have to be a social media expert (unless you hire a book promotion agency) and understand these factor and practice them. Different content may give different results with different types of users. It’s all about practice. Have a happy book promotion! 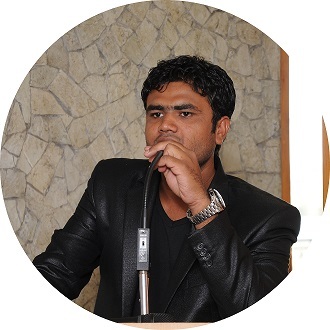 Kunal Marathe, a book publicist, is the CEO of Legendary Book Marketing. He holds the world record for ‘Largest Congregation on Book Trailer Launching’. His novel, The Internet Sensation, is scheduled to be released in mid-2017.